Kansas does not receive nearly enough revenue to pay bills. 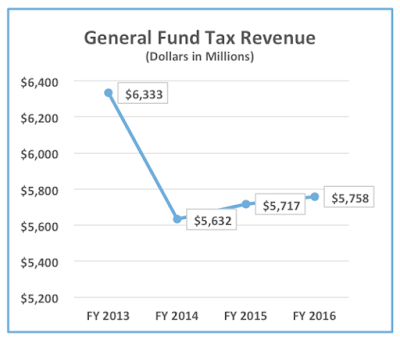 In FY 2014, general fund tax revenue fell $701 million, immediately destabilizing the budget. The revenue stream never recovered. Even after sales and cigarette tax rates were increased for FY 2016, tax revenue has not come close to reaching pre-tax cut levels. 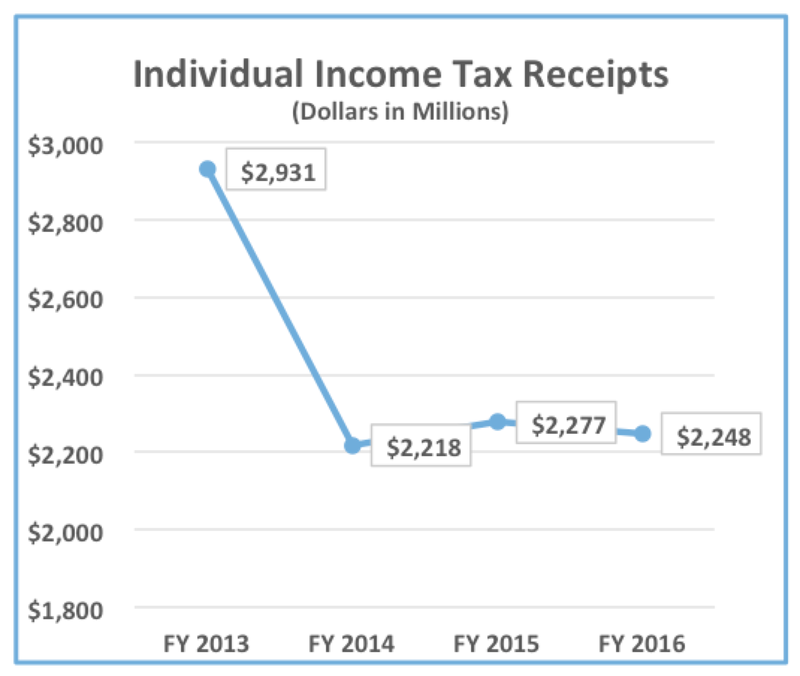 Individual income tax receipts have been the key driver in the revenue loss, with FY 2016 collections $28 million below FY 2015, and $683 million less than in FY 2013. 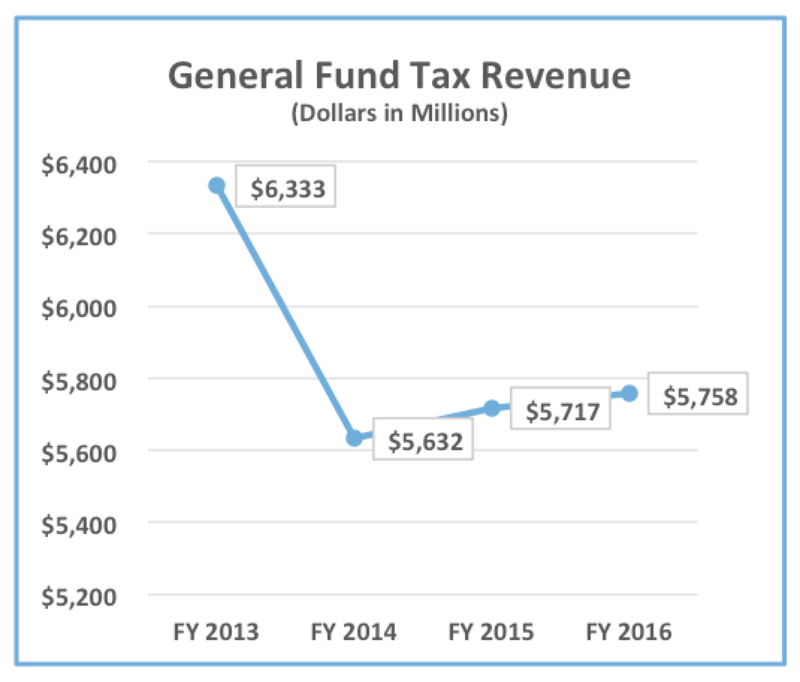 FY 2016 became the third year in a row in which a huge hunk of general fund tax receipts simply disappeared. Normally, income tax receipts would grow, but while other states were experiencing post-recession receipt growth, Kansas income tax revenue fell backward dramatically and stayed down. 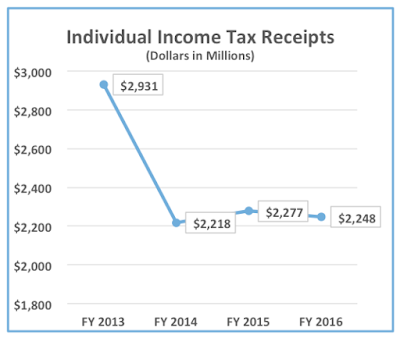 Had Kansas income tax receipts grown in a similar way to the rest of the nation, Kansas collections would have been more than a $1 billion higher in FY 2016. Sales/use tax and cigarette tax receipts both rose in FY 2016, but as a result of rate hikes. Pushing the state sales tax rate to 6.5 % was projected to raise $176 million. In FY 2016, sales/use tax receipts were $174 million higher. Moving the per-pack cigarette tax from 79 cents to $1.29 was predicted to bring in $41 million, and actual collections grew $50 million. Corporate income tax (tax on full corporations) fell backward by $63 million in FY 2016, but no one should be very surprised. Corporate income tax receipts are quite volatile, moving up and down, depending on economic conditions. Likewise, receipts from the severance tax on oil and gas are tied to price. With oil prices low, FY 2016 severance tax receipts ended up $71 million lower than the year before. States must plan and be prepared for variations in tax receipts from these sources. But Kansas has been left unprepared for even small variations in tax receipts because of the damage done by income tax cuts. Certainly the reduced collections from corporate income tax and severance tax contributed to the dismal FY 2016 revenue results, but they pale in comparison to the income tax collection loss. To deal with the severe budget problems created by the income tax cuts, lawmakers have blown through reserves, borrowed, raided the highway fund, taken money from children’s programs, cut services, and raised the sales tax rate. But they have not addressed the source of the problem—unaffordable income tax cuts. 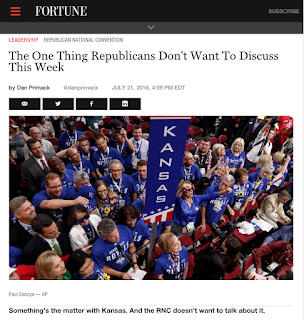 As a result, Kansas literally scrapes by financially, day by day, unable to invest in the future. —This post originally appeared on the Kansas Center for Economic Growth website.